I'm Joanne Leong, a 24 year old ( 2015 ) female, from Kuala Lumpur, Malaysia, Happily Married, Mother to a 2 year old girl. 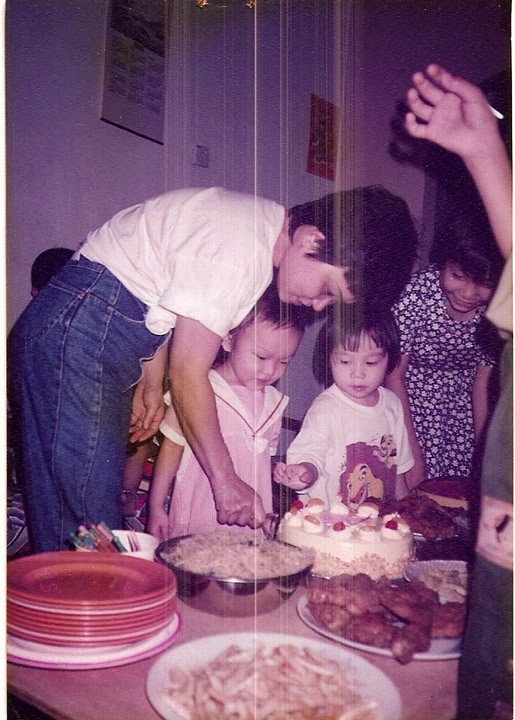 I was born at a private hospital at Cheras, Selangor, Malaysia on 10th March Year 1992. In my memory, I was been abused by my mom who has postnatal depression and she's dead by September 1998 by hanging her self at my room. What i remember is, ''rotan'' aka bamboo cane which is popular for educating naughty kids and was very easy to find.It sold at most of the ''kedai runcit'' grocery store. This item never lost from my sight since i was 3 if I'm not forgotten. I have been smacked with rotan, burned with a hot cloth iron, chilly padi eye rubbing, being tied by using a steel chain at the room, around 3 meters, that just enough for me to go to the toilet n bed for sleep.Anyway, my mom was a tailor and she's tailing at our own home, so maybe she don't like a toddler running around and mess her living area with my toys i guess.maybe. The worst is, I have been knock with a vacuum cleaner plug, straight to my head, just like that. for that moment, there's a sudden black out from me. My grannie told me that my head was swollen for few weeks. Old folks remedy, rolling your swell area with a boiled egg, for few weeks. To all the mother out there, please think wisely before smack or educate your kids, try to calm down. Talk to your husband, communicate.This really will left a very huge mark on your kids mind & heart. For those who just being a new mom, postnatal blues happens to most of the mom's out there, please be prepared, control your emotion. PS : I will never treat my kids that way,and i wont choose the path to end my life by throwing my husband to bear the whole burden of the family alone. its very irresponsible.